The Dutch cycle paths are exceptional. Always asphalt, always sign-posted and always busy. One has to beware of scooter and moped riders as they legally use them, too. On the coast, on a hot day, there is not a cycle parking space to be found; a day by the seaside seems to be by bicycle (or tram, where possible). The LF4a long-distance cycle route, however, is fantastic. It takes in some of the country’s national parks. 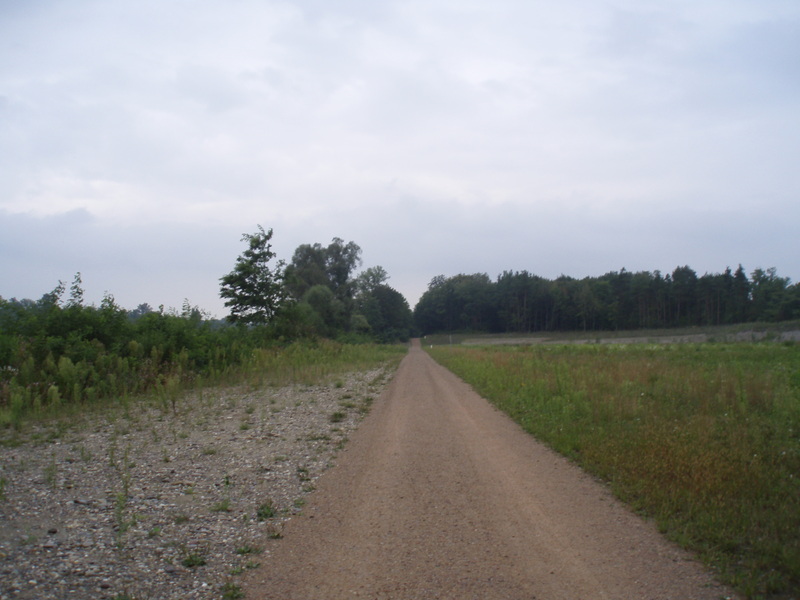 In our case, we experienced the limited Utrechste Heuvelrug park. It is quite forested and quiet. As a route back to the Rhine at Rhenen, sublime. Our Utrecht navigation rendered us a little cautious when it came to Arnhem. We stayed on the south bank of the river effectively avoiding the city’s early evening rush. We headed for Panerden to the Southeast of Arnhem close to the German border. Panerden is a typical small town with a few shops and a couple of multi-purpose bars. In the evening the cafes serve as drinking houses. In the morning the coffee and apple pie are a good energy source. Do not be put off by the apparent black hole that is the bar. It is the way it has to be for the proprieters to make a living. The nearby campsite is exceptional (see post 4 September, 2012). And then to the border. First stop Emmerich – a typical border town, though very german. We were advised to go to Kalkar for lunch, some 15 or so kms away. We ate at the distictive windmill, before heading off to Xanten, a historic city with a curious archaelogy park filled with Roman artefacts: from the road an incongruous area filled with ‘crumbling’ pillars and arches. On from The Hague, we followed LF4a – a long distance cycle track to Enschede. We took it as t he route includes Arnhem, which seemed like a good place to join the Rhine after not being able to follow it from the official ‘starting point’ at Katwijk. However, the LF4a is not endowed with campsites (actually, there are not too many in the whole of the Netherlands), so we had to make some deviations. That is how we fortunately ended up at the campsite at Leimuiden. I say fortunately because it was a delightful space, but it was also where we discovered just how friendly the Dutch are relative to what I had read (more on that later). Within minutes of arrival we had been offered 4 cans of Hoegaarden beer by a woman who was captivated by the tandem but could not stay. At breakfast time, another woman offered us coffee whilst she waited for her children to rise. Extraordinary generosity that was replicated many times as we progressed. The cycle continues for Pall Mall cigarette advertising. It is our carefree bunch of 20 somethings enjoying life and now the summer to the full, including smoking. I almost feel that I know these characters now. We stayed in 4 hotels or guesthouses. This was either because there were no suitable campsites (as in Germersheim where the campsites shown on the map were not public amenities) or in Basel where it was raining and we felt that we had earned a bed). Worms, DE Here we stayed at Hotel Hüttl as advertised in the Bikeline guide. Excellent little hotel. Secure garage for the bicycle. Central. Excellent little breakfast. Decent sized room. Well recommended. 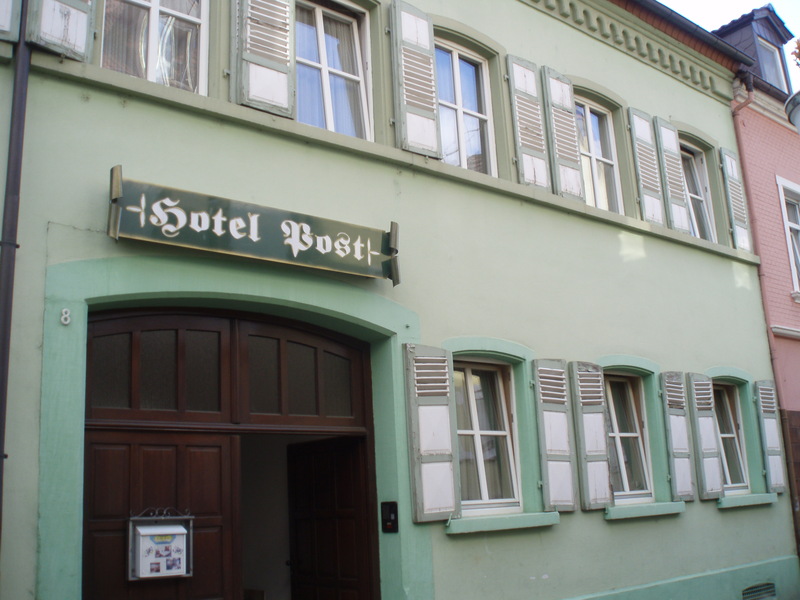 Gamersheim, DE Hotel Post. A step back in time but excellent. We were welcomed by a mature woman who was very helpful in terms of recommendations as to where to get some food. Excellent breakfast. Large room. Cycle parking in the secure courtyard. 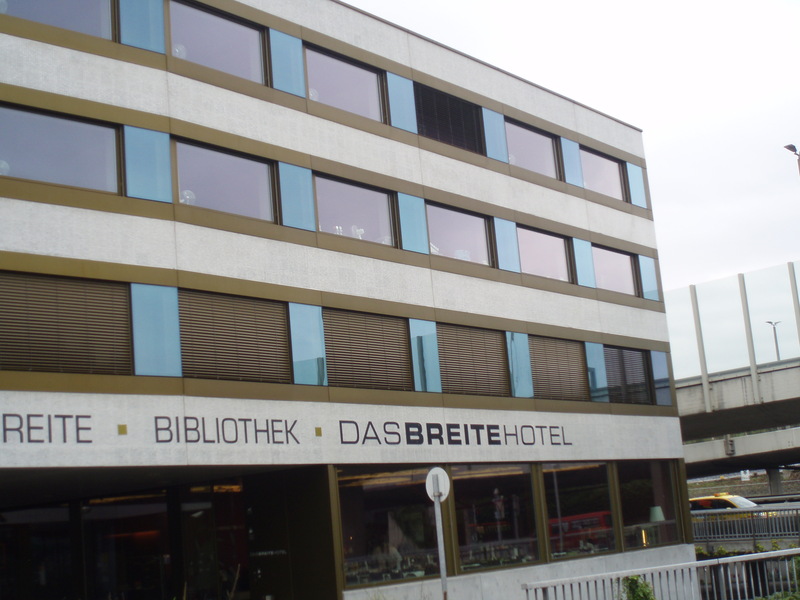 Basel, CH Dasbreitehotel is a little expensive, but an interesting experience nonetheless. The rooms are very modern and comfortable. There is wifi in the foyer. Breakfast is exceptional. Underground garage for storing the bicycle. You get a free public transport ticket for the duration of your stay (normal for Basel). The tram outside the hotel runs into central Basel every ten minutes until very late. Well recommended as a final or intermediate stop. Of our 15 nights out, we spent 11 under canvas. We took with us a Coleman Rigel X2. Weighing in at 980g, it was potentially ideal. However, there are two significant compromises that come with the low weight. First, It has only a single lining, which means that it is prone to condensation, especially if there are two people in it – for which it is realistically not suitable; it is just too small (the second compromise). So despite it being watertight (we survived a lively thunderstorm on one night), by the morning the inside of the tent was very wet indeed. Leimuiden, NL The campsite is 2km south of Leimuiden. It is a working dairy farm. Delightful, though basic. Everyone was very friendly, including the owner who waved at us from his tractor whilst we were drinking some generously donated beer before taking a modest 10 Euros from us. The cheapest campsite we visited. It is close to Schipol Airport, however, so there is a bit of noise. Other than that, a must if you are in the area. Bunnik, NL East of Utrecht. Very large site with a mix of semi-permanent and travelling pitches. Very big field for campers. Facilities are good. We walked into Bunnik for some food and found a pub. A bit impersonal, but functional. 3 km east of Pannerden, near Arnhem. 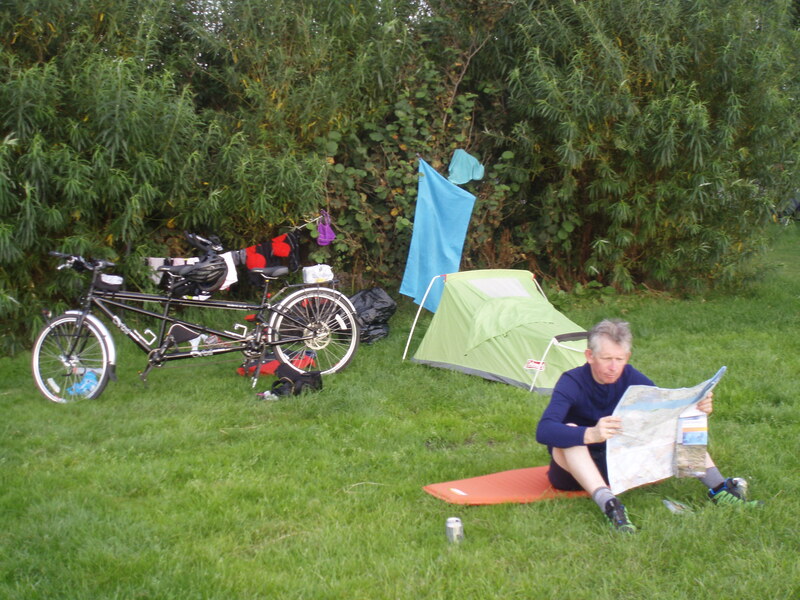 Small campsite for cyclists run by the Jakobs. Excellent value and really welcoming. The reception is open until 2200. No washing machine, but it has a spinner. Thoroughly recommended. 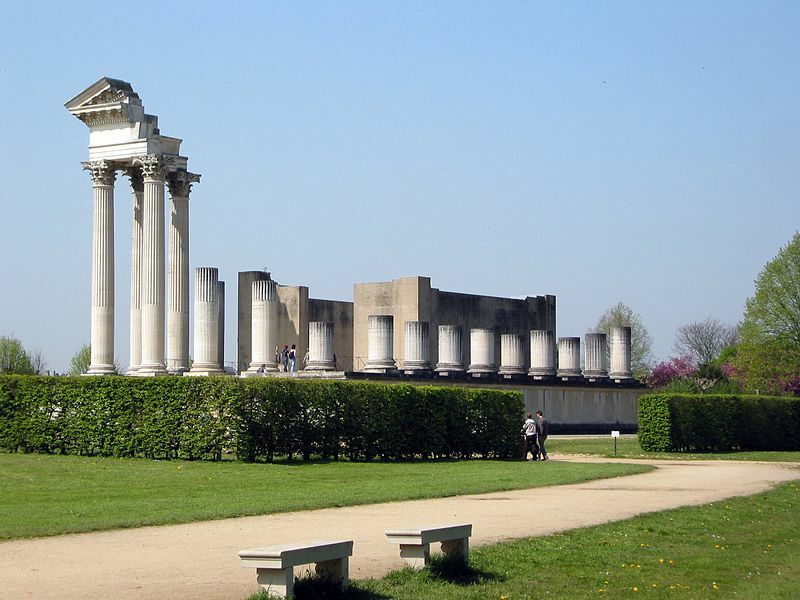 Xanten, DE There are three campsites to the west of Xanten on Urseler Straβe. The first is a field attached to a pub. 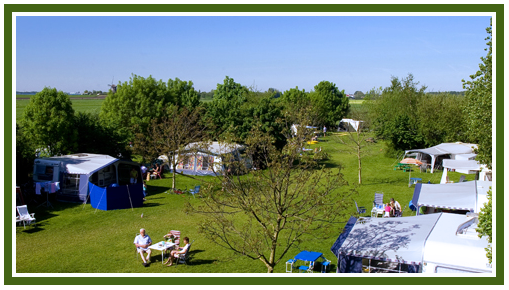 The second “Wild Camping” is a combination of semi permanent caravans and shacks and camping. We arrived late to find the reception closed. We pitched, but were unable to shower because the showers required tokens. That said, we missed the after-hours intercom. There is also a Gaststätte there which is not recommended. It is a shade unfriendly. They turned the lights off on us twice whilst we drank a bier. Düselldorf, DE This is an eccentric campsite run by a no-nonsense man and his wife. It is a bit close to the airport, but very convenient for the city and on the Rhine path (as it skirts Lörick to the east). The wife of the partnership did us a service wash. A bit expensive, but everything was clean for the following morning. Recommended. Köln, DE We opted for under the bridge which carries the A4 motorway (3km south of the centre of the City). This was our most expensive site at 19 Euros, but it had everything that was needed. The showers were an extra 50 Cent. There is a washing machine and a dryer. Friendly proprietor. The motorway is a little noisy, but still well recommended. 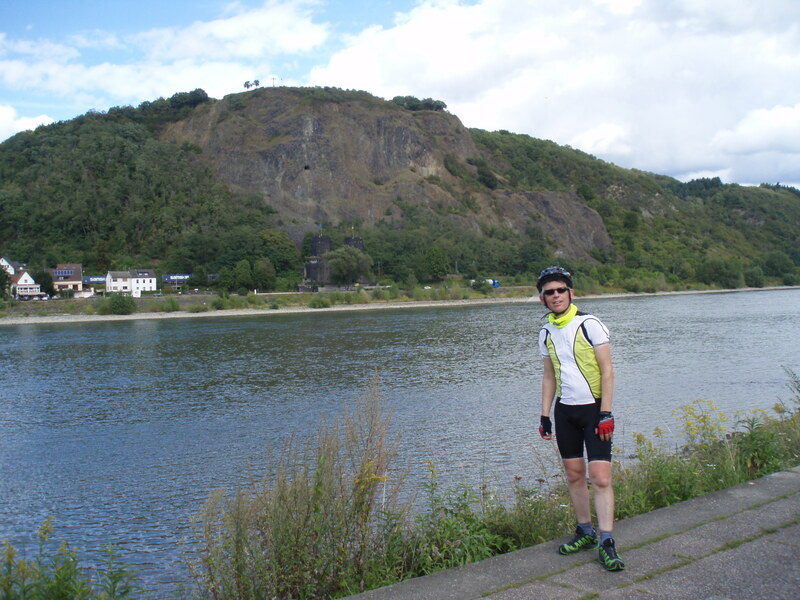 Koblenz, DE Campsite opposite the Deutsches Eck at the junction of the Rhine and Mosel. Well signposted. 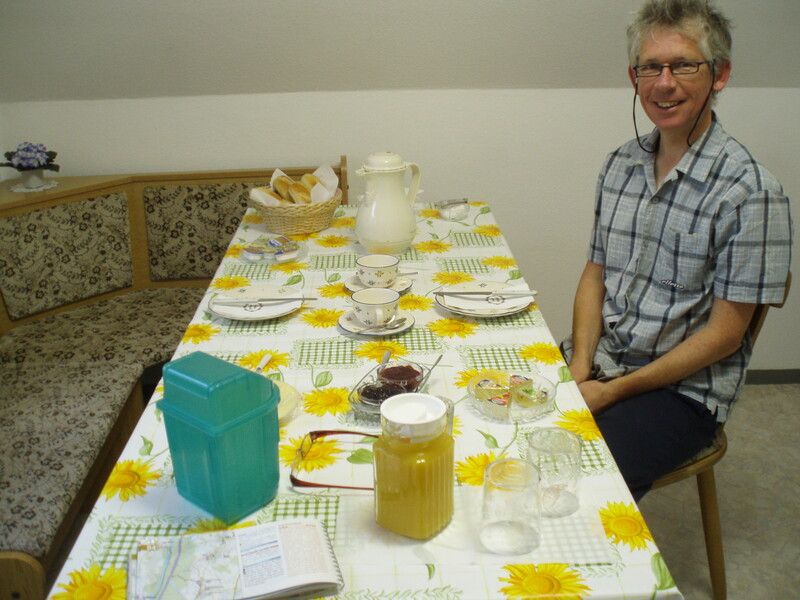 Excellent facilities with restaurant where breakfast is also served. Has a washing machine and dryer. Well recommended. 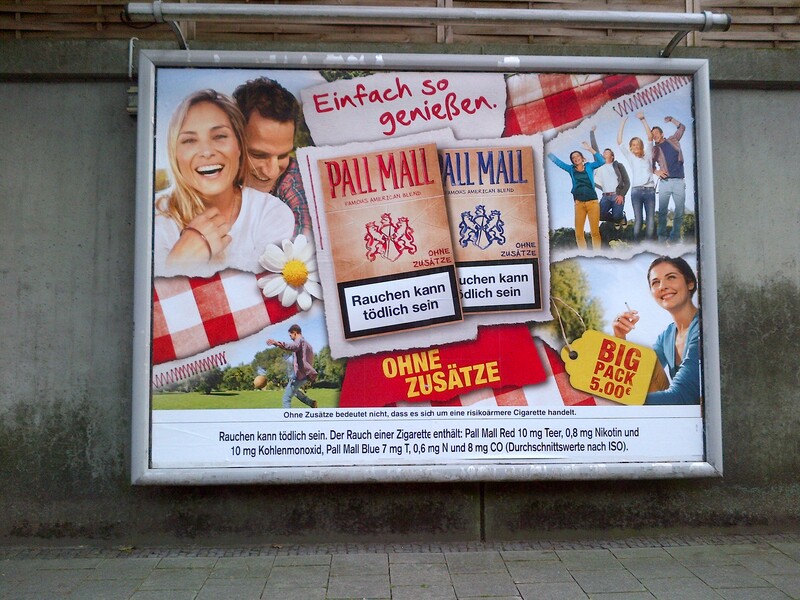 Mainz/Wiesbaden, DE A sizeable site that is a little soulless. Though we arrived in the dark, which did not help. Facilities good, though. Including washing machine and dryer. A walk into Mainz took about 30 minutes. The paths are a shade on the dark side, so we did take a taxi back, which cost around 15 Euros. There is no easy road access to the site. Gambsheim, F This is a large municipal campsite. We arrived at 2030, too late for the reception. We pitched in any case, but the toilet and shower blocks require a key. 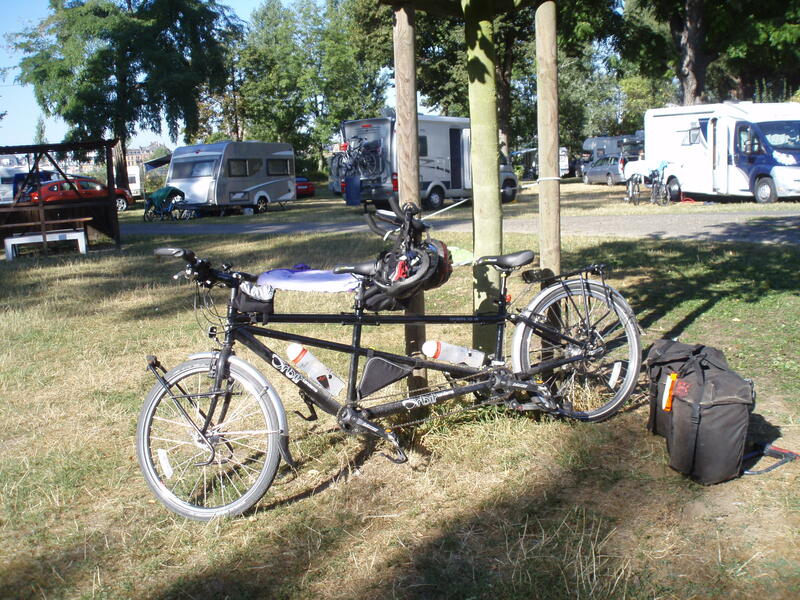 We borrowed one from a very helpful fellow camper and checked in the following day (we intended to stay for two nights so that we could have a day off in nearby Strasbourg). Very cheap – 20 Euros for the two nights. No washing machine, but showers hot and functional. Plenty of room. Recommended – but arrive before the reception closes to avoid ablution dilemmas. 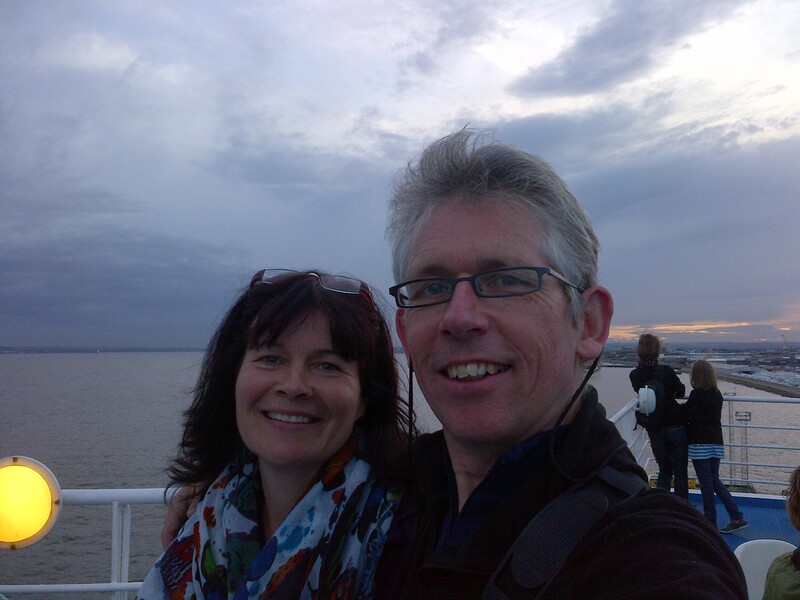 We are now back safely from our journey from Rotterdam to Basel along the Rhine. In all it has taken us 15 days. There are some general things to say about the journey before I describe some of the more personal elements of the journey – who we met and the places we visited (intentionally and unintentionally). Firstly, the Rhine is an awesome river – long, powerful, wide and omnipresent. The human efforts to harnesss it and hold it back when it gets swollen are all there to be seen. They are equally awesome. Secondly, the route is well signposted; however, good navigation skills are essential. There are countless detours (Umleitung), partly caused by the ongoing work on the banks and paths. 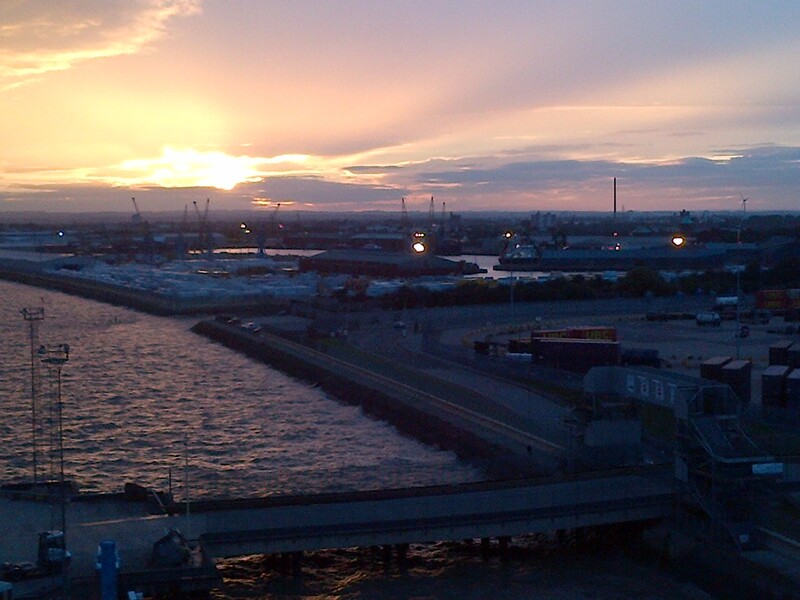 There are also many industrial obstacles, not least aggregate wharfs (Kieswerke). Sometimes the path is through the site, others not. Moreover, navigating cities – particularly Utrecht – is challenging. We hit Utrecht at peak time (1700) and it was pandemonium. The signs are there, but not always obviously so. We had two pairs of eyes working for us and still missed them. Thirdly, and particularly in the Netherlands, there are many of people willing to help. We enjoyed many unsolicited (and solicited) offers of help. We received lots of useful local knowledge as a result. shingle, gravel and sand. The sand is a particularly difficult surface in the rain as we experienced in the section from Breisach to Bad Bellingen (30 km north from Basel). Not only was it soft to ride on, but equally, the sand was loose and attached itself in volume to our bags and the tandem. This is not good for the machine. Fifthly, there is plenty of accommodation along the route. We camped on 11 nights and took a room in a hotel or house for the remaining four. Prices ranged from 10-19 Euros for the campsites and 50-140 Euros for the hotels. I’ll have more to say about the accommodation later. Sixthly, one has the choice of two paths one on either bank. There are many ferries in the absence of bridges to get across. Particularly in the southern sections, this means crossing from one country into another; for example, Germany into France and vice versa. However, where there is a bad path on one side, there may be a better one on the other (though it may be not adjacent to the river). Penultimately, some of the more tourist oriented parts are very busy at the weekend in the summer. That said, the second half of August was optimal, particulary with respect to accommodation, weather and hours of daylight. Finally, guides. 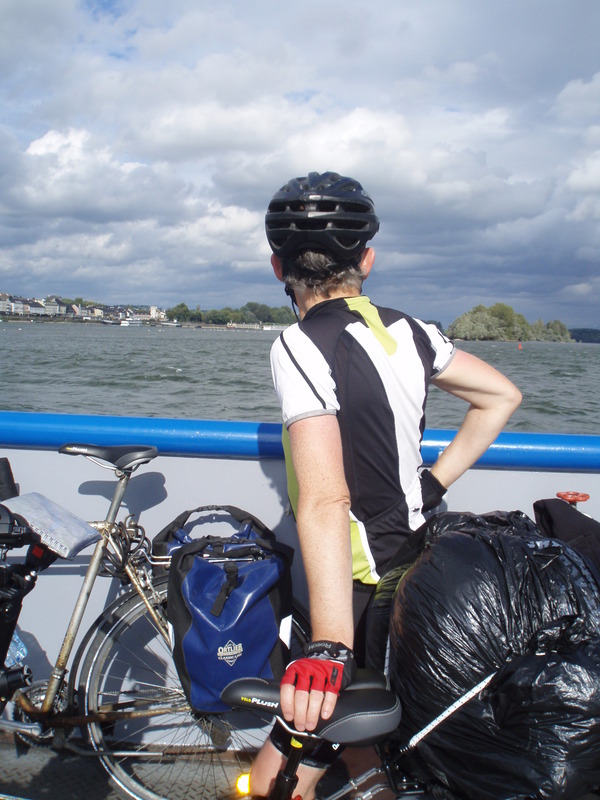 We started the whole thing with John Powell’s book, Cycling the Rhine Route: Bicycle Touring Along the Historic Rhine River published in 2000. We relied, however, on 2 of the three guides called Rhein Radweg, published by Bikeline (Esterbauer Verlag, 2012). They are written in German but the maps are excellent – indispensible, actually). They are available in the UK, but also at bookshops in towns along the route.